Everyone who practices Lagree Fitness is welcome to participate in the challenge including studio owners, managers, instructors, and clients. The challenge is FREE and entirely voluntary. Registration opens April 24, 2019 and closes April 30, 2019. All initial measurements and photos must be taken during the registration period. The contest will run from May 1, 2019 to May 31, 2019. 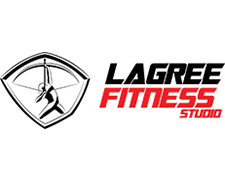 It is preferred that photos and measurements are taken at the studio where participants practice Lagree Fitness, but it is NOT REQUIRED. All participants must have completed the registration form, including measurements and photo upload prior to May 1, 2019. Before and After photographs must be one full body image and one full body profile image. The computer system will calculate weight/inches lost during the contest. You may share your experience with the hashtag #megaformerchallenge. Studio owners/managers do NOT need to complete any forms or registrations for their clients. Participants are responsible for registering THEMSELVES via the website. At the end of the challenge, the computer system will calculate the top ten male and female winners. These contestants will then be vetted for accuracy. Once the top ten male and female contestants are announced, voting will begin. 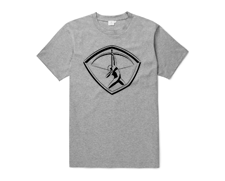 Voting is open to anybody with an account at LagreeFitness.com. If you finish in the top ten male or top ten female contestants, tell your friends and family members to create an account, search for your name, then click VOTE. Get in the best shape of your life with Megaformer. At the studio where the prize was won. * The Megaformer cannot be used commercially and for commercial purposes.